Home » Travel Tips » How To Save For Traveling? 2017 has been one of the best years of our life. From starting Travelmynation to visiting the North East, we had so much fun. In fact, we were also blessed by our families as we got hitched last year. This new year as most of us take on new resolutions, we decided to take one too – invest ourselves in TRAVEL. No more googling “get paid to travel” or “fund my travel” or “travel the world and get paid”. We were gonna do it ourselves. For us travel is essential; it’s our oxygen and deeply embedded in our DNA. It’s so much fun, adventurous and exciting but at the same time, it’s very expensive. The other day we were counting the number of destinations we had covered over the last one year and were astounded by a list that was 50+ strong!!! WHAT????? And then we started calculating approximately how much we have spent on these trips and the figure was closer to a couple of lacs! WOW. That number looked quite a lot and somewhat ridiculous for a couple belonging to the middle-class strata. We were scared and wondered if we would ever be able to travel like we dreamed of since we had made traveling our priority. Till now we had normal jobs, roughing it out in the big city, battling the expenses and sometimes saving a little amount. And with hardly any money in the bank, we decided to save more and figure out ways to cut our expenses. 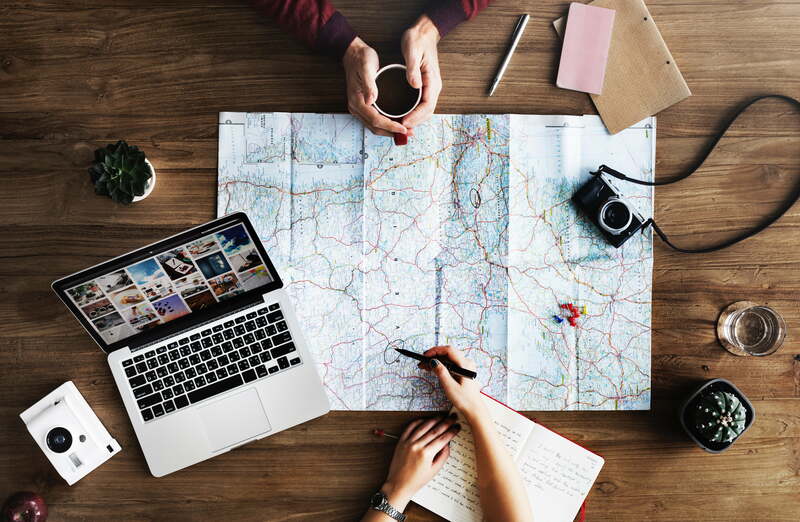 Today if we look back and think “how did we manage to spend so much on travel – we know we worked hard and compromised on a lot of things to manage our travel cost. A lot of you ask us how we fund our travels. There isn’t a magic formula or a secret recipe nor an angel investor. Here are a few tips which may help you save for your trips like we do. 2. Cut down on your expenses: Don’t you hate this one? Now that you have taken the first step towards saving in your piggy bank, the next step would be to cut down on your unnecessary expenses. You like switching phones every year?? Well, maybe you could do with it for one more year! We shop but only when we must, we buy things only if we don’t have them. Cutting down on upgrading existing items is a major money saver! 4. Avoid eating outside: Bummer! But this is a huge unhealthy expense. I know the temptation to eat is tough to overcome especially is you are a foodie. We eat out as well sometimes but stay away from expensive joints; we choose to go to a local mess and have better food! 5. Control your phone bills: Switching to a pre paid plan is much more cost effective than post paid connections. Use apps like Watsapp and FaceTime to make your calls like we do. Having landlines at home might also be an unnecessary expenditure for many. 9. Use the age factor: Never feel shy to ask for a discount especially if you are a student or an elderly person. Use your age factor as a weapon and make some profit out of it. 10. Use credit card rewards point: Pick your credit card wisely. Depending on where you spend a lot of your money, pick a credit card. Our card lets us buy flight tickets in exchange for reward points. There are cards that will save you money in shopping, fuel, movie tickets. Pick the one that suits your lifestyle the best. 11. Use cash: When you swipe your card or use your eWallets, you don’t see the cash going out of your account. We tried switching to cash and realised that psychologically it made a huge difference in how much we spent. The moment when we started handing our more and more currency bills, we saw our savings dip further! Saving and cutting down on expenses might not be fun, and difficult for many but if you want something so bad then the formula is simple – live within your means and save the rest. The love for travel comes from within and not from seeing others traveling. If you are a true traveller then you will sacrifice, adjust and learn to accommodate. Rooms or tent, kosher food or local food, toilets or nature; nothing will matter as long as you are traveling. This isn’t the holy grail to fund your travel but something that we practiced and worked for us. If you dream it, you can live it. But you gotta work for it! Do read our article on Tips for Solo Women travellers and Life Hacks for solo travel as well. Loved this one. The tips are useful at any age. Going to try as many as I can and travel more. Thanks so much for reading and leaving your comment. Am sure you also have useful tips and would love to hear some of them from you! Thanks a lot for reading Avi! Wow.. Few already in practice and implementing rest after reading them here!! Thanks from sharing this with the world.. Such a nice article..I follow a few and you guys almost covered selling the unused crap lying down..Amazing..
Hey harish. Thanks for reading and leaving your comments. We are happy to know you liked the article. Do share with your friends as well and let us know if you would like us to write about something else as well.